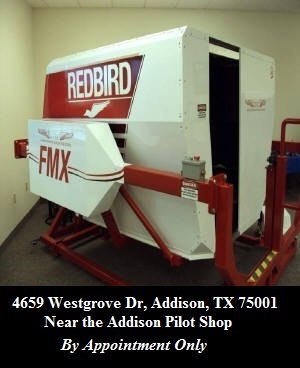 Redbird FMX Simulator Available in the Dallas Texas Area at Professional Aviation Resources! NEW Cessna 172 Skyhawk with G1000 cockpit available in the Redbird Simulator! The FAA now permits a person to log 20 hours in an advanced aviation training device (AATD) towards an instrument rating! Save money and receive better training in our Redbird FMX Full Motion Simulator. 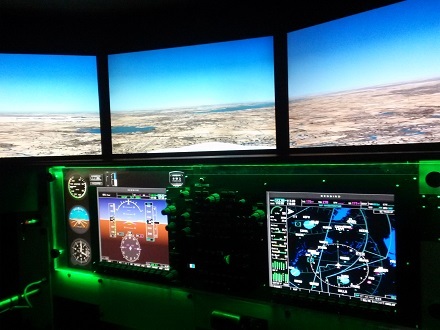 At Professional Aviation Resources you will receive high quality simulator instruction from highly experienced Flight Instructors with many years of real world experience. 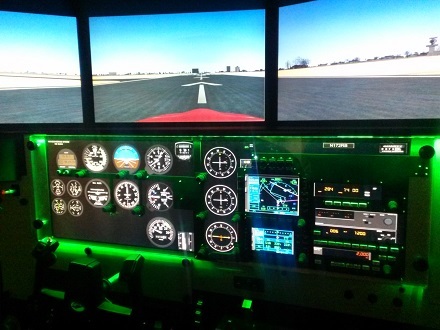 Any organization can buy a simulator, hire an instructor and attempt to give instruction. 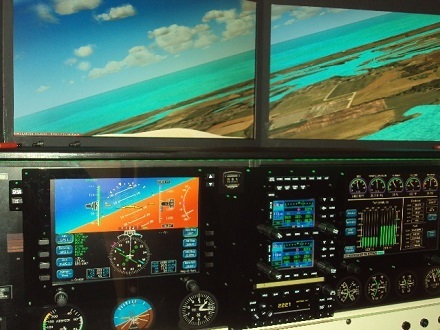 Experience is the difference with Professional Aviation Resources Simulator Instruction. Our Instructors combine years of real world experience with proven procedures and techniques to achieve and surpass your training goals. Trust the experienced difference for your training. 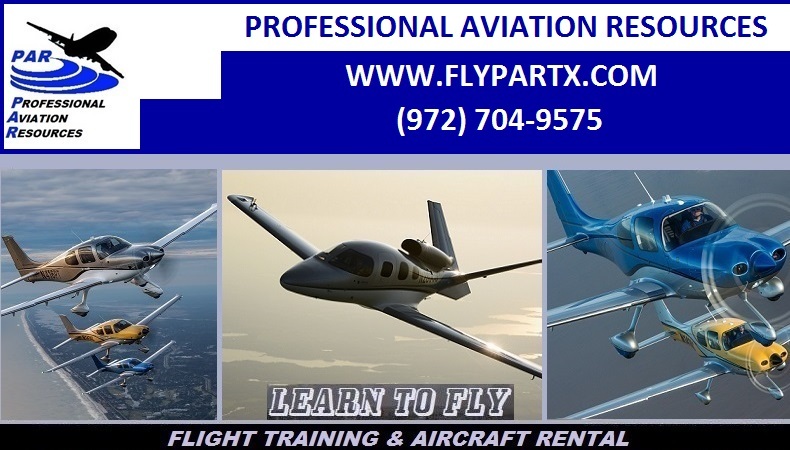 Trust Professional Aviation Resources. The Redbird FMX full motion simulator is the most innovative change in general aviation flight instruction in years. Combining the ability to train procedures, maneuvers, malfunctions and weather. 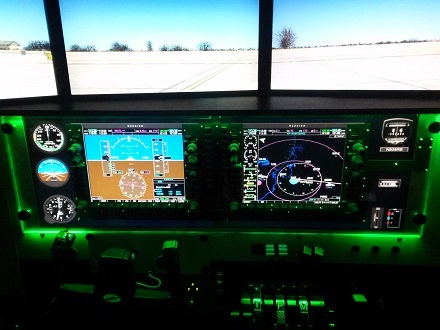 The Redbird creates the perfect learning environment to compliment your experience obtaining your FAA Pilot ratings. The Redbird FMX Full Motion Simulator database has all airports and approaches in the United States, and most foreign countries. This enables us to train virtually anywhere allowing you to come to us for training from any location. Do your approaches in your home city or venture to the mountains. The Redbird can do it all at a reasonable cost. Redbird FMX Full Motion Simulator! The Redbird FMX AATD is approved by the FAA for log-able time on virtually every rating. Not only does this assist in making your flight training economical, it also brings a unique training experience where you can learn how to deal with emergencies and weather in a safe and controlled environment. Call us today to schedule your Redbird FMX Full Motion Simulator flight instruction in the Dallas Texas area. We are not a flying club, and we do not charge membership fees. 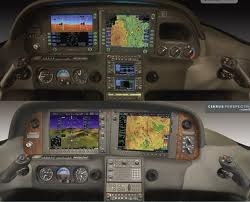 Call today for your Avidyne and Perspective Avionics Training!